Mirvac has released additional homesites in the latest stage of its Gainsborough Greens community, after all but one lot were sold in Eco Gully release. Eco Gully precinct was launched in August, with 48 lots secured in just eight weeks by buyers eager to purchase an affordable property along a nature reserve. An additional 34 lots have been released to meet the high demand, with a starting price of just $235,000. 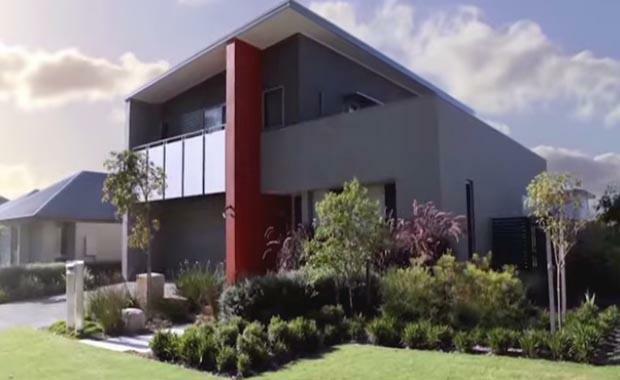 Russell Berlee, Mirvac Queensland Development Director of Masterplanned Communities, said this was not the first time the developer was prompted to bring forward a later release to meet demand. "This is the second time this year we have had to accelerate a land release at Gainsborough Greens, which is proving to be one of the most successful and sought after masterplanned communities in Queensland," Mr Berless said. "A number of the homesites in this new release run directly beside the eco gully - a large nature reserve with a creek running through it – providing a stunning backdrop for a new home. "We have listened to the market and have released a concentration of the most popular lot sizes, with homesites ranging from 420 square metres to over 750 square metres, giving buyers with the choice of almost any home design on their new block." According to Mr Berlee the range of product mix means there is plenty of choice for buyers, and the low prices are attracting whole range of purchasers. "Aside from being located near the eco gully and future sports fields, these homesites are also close to the local shopping centre, schools and have easy access to the motorway, making them a convenient lifestyle choice for families." Home buyers Natalie and Scott Kerrigan were among the first to purchase in Eco Gully. "Buying a new property is a medium to long term investment, so it makes sense to take a good look at what is happening in the area you are buying in, to get an understanding of what the neighbourhood will look like in five or seven years’ time," Mr Kerrigan said. "The Gainsborough Greens masterplan highlighted that there was lots of growth planned for the area - not just in terms of new houses being built, but also new amenities to service the population, like schools, shops and parks. "We were one of the first to buy in the Eco Gully release, which is adjacent to a large nature reserve, and this will soon back on to a new sports field, so there is plenty of greenery around us which gives us a private, tranquil environment to call home. "We have lived on the northern Gold Coast for several years now and when we looked around to find new land, we found that Gainsborough Greens was great value considering its location and lot sizes. Our homesite is one of the larger lots in the new release with enough room for a four bedroom house, as well as a 20 metre backyard, so space is certainly not an issue." Gainsborough Greens will comprise of 2,200 homes across a series of parklands and villages.